One Health is an integrated approach to the fight against infectious disease. To achieve this, it connects human, animal and environmental health. Watch this HealthforAnimals animation to see how this concept works. Experts estimate that at least 60% of all human diseases can move from human to animal and vice-versa. 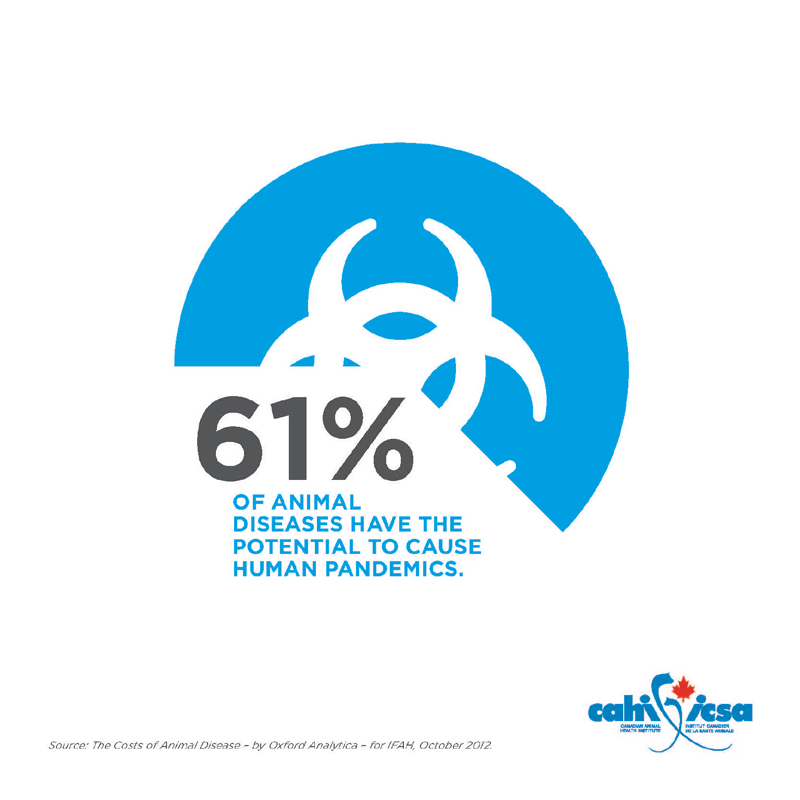 In fact, over the past three decades, approximately 75% of new emerging human infectious diseases have been of animal-origin or zoonotic. The animal health industry researches, develops and distributes licensed medicines and vaccines both for companion animals (pets) and food-producing animals. It is a dynamic and innovative sector delivering high quality, safe, and effective products.